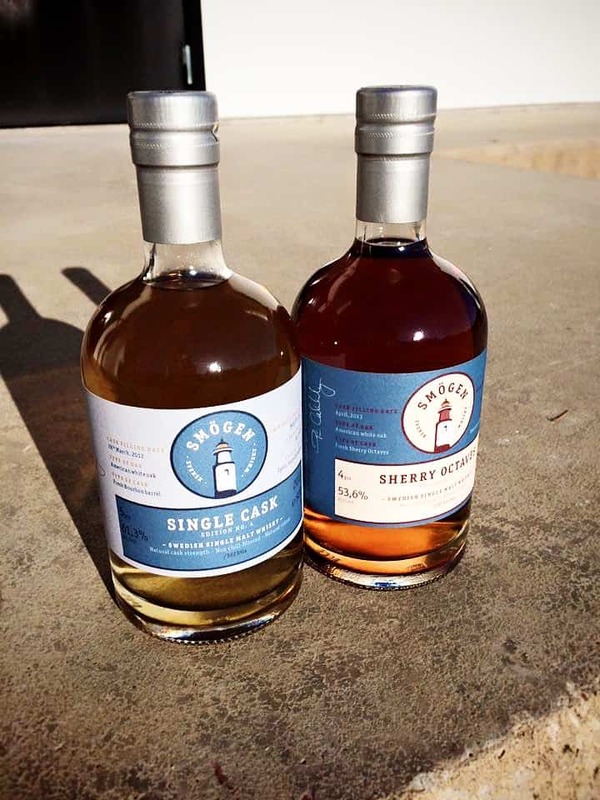 Smögen whisky! No, I don’t know why I’m shouting! I mean, I SHOULD PROBABLY TYPE IN ALL-CAPS IF I WANTED TO REALLY SHOUT! But this whisky is indeed called “Barrique!” with an exclamation mark. So when a sample of Smögen Barrique Exclamation Mark landed on my doormat, I was most pleased. Yes, EXCITED! you might say. Why use that particular piece of punctuation? I look forward to the day when a brand uses an interrobang, which is a weird hybrid of exclamation and question mark, leaving us a little excited but also in-doubt as to what’s going on, which also sums up my thoughts on the state of the Scotch whisky industry. Anyway, this Smögen is particularly interesting, as it’s 7 years old, making it the oldest release from the distillery to date. This Swedish operation has earned one of the best reputations in Europe, so that’s quite impressive that most of its whiskies have been 6 years or less. It also goes to show that yes, although age does matter, it also really does not matter; we want to know the information, we are curious as to what’s going on, but we also know that there is not really a direct correlation between age and good whisky when the wood that’s being used is completely shagged. What else can we say about this whisky? It’s made using heavily peated Optic barley, which was one of the most widely planted varieties in the UK for a good long time before varieties like Concerto became the flavour of the day quite literally. Not that many in the Scotch industry will admit that different varieties have different flavours – quite unlike the beer crowd, which is at a more advanced understanding, and which generally uses Optic malt in pale ales for the particular flavours it gives. After being distilled in 2010 this whisky was then matured in four 225 litre French Oak barriques, which previously held a Bordeaux red wine. I quite like the fact that Smögen is not plastering the bottle with the name of whatever exotic château the wine casks came from (thereby appearing to borrow brand kudos from a greater name, and indirectly, in my opinion, saying that their own produce isn’t up to scratch). Just simply barriques – or should I say: barriques! 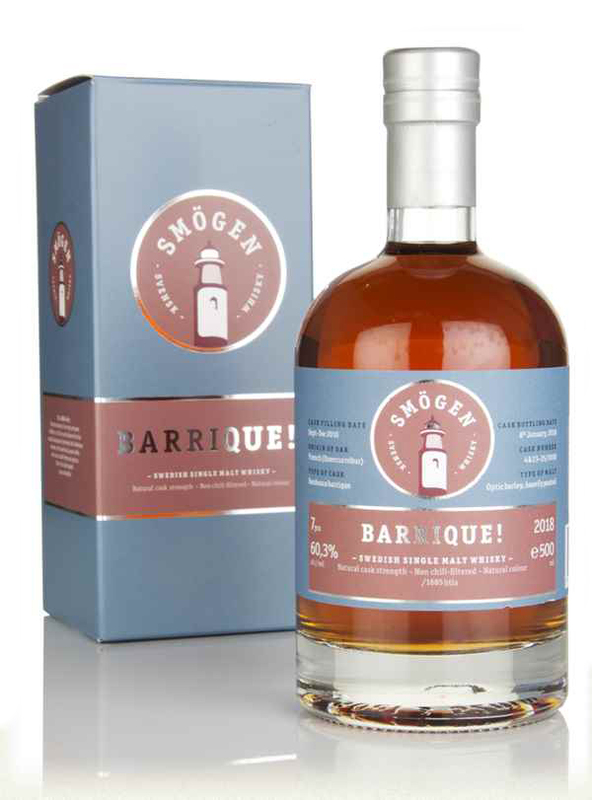 Anyway, Smögen Barrique Exclamation Mark is bottled at 60.3% ABV, and only 1,685 were released – at about £100 a go. Is it worth it? Quite pricey, but that’s pretty much the going rate for whiskies of this limited availability made to these standards. Colour: tawny – good wood here. On the nose: delightful. The peat mixes with a little burnt toast, but it’s all smothered in a black-fruit jam. Blackberries, perhaps leaning towards raspberries and cranberries. Buttery. Touches of Madiera. Cloves and nutmeg. In the mouth: the balance is phenomenal given the massive heavy hitters here: thick, viscous spirit carries a bucketload of red and black fruits as per the nose – blackberries, blackcurrants even, with elderberry too; that in turn fights it out with the potent, Assam-tea-like peat; and then there’s the gorgeous undertone of salted caramel, hazelnuts, the simmering char, that gentle wholemeal toast. The ABV is high yet exceptionally drinkable. All of these flavours are heavy, expressed boldly, and unwavering with time in the glass. I come here for flavour, and Smögen Barrique Exclamation Mark has it in spades. This is what intense, well-made whisky tastes like. Not for newcomers, perhaps, but it’s aspirational whisky, and one geeks like us will love. Yes, I’ll allow Smögen to shout about this – and I’ll join them too. I do think with these 500ml bottles, they should take the picture with less zoom as they never seem quite right when they arrive. £151 for a standard 700ml would seem more pricey….. I guess that is why shrinkflation is happening everywhere. That said, it sounds like a nice dram. Hi David. Yes, I know what you mean. A lot of the newer, smaller distilleries often go for the 500ml bottles. Perhaps it’s a way in for those who otherwise wouldn’t afford it?